RSFeedback! 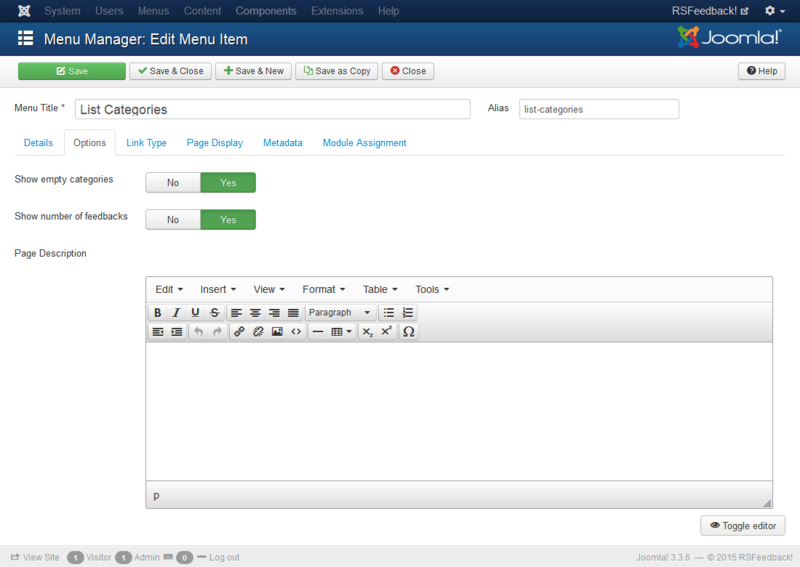 's nature imposes that its functionality be implemented in the website's frontend through the use of menu items. 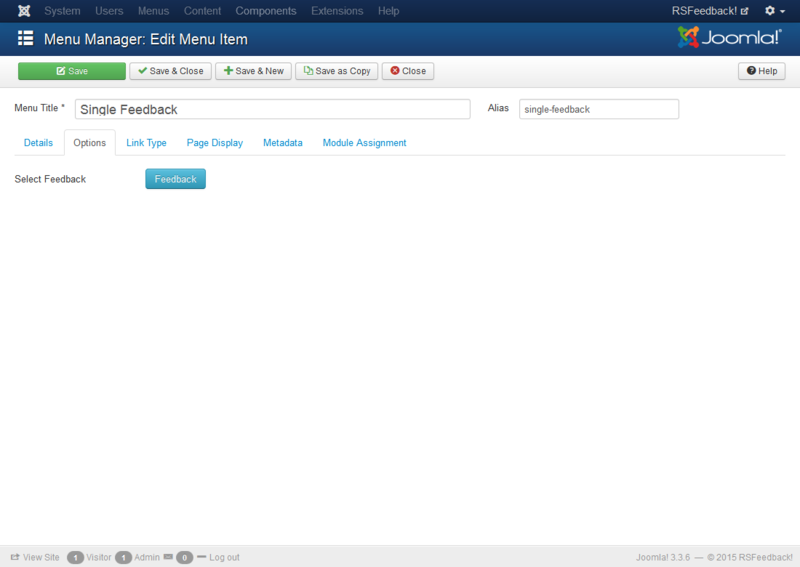 In this article we will explain the purpose and utilization of each of the available menu items that RSFeedback! offers. 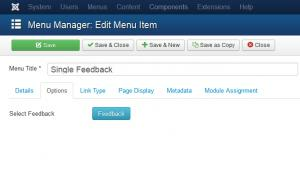 This menu item allows users with enough permissions to add feedback categories directly from the website's frontend. There are no configuration options available. 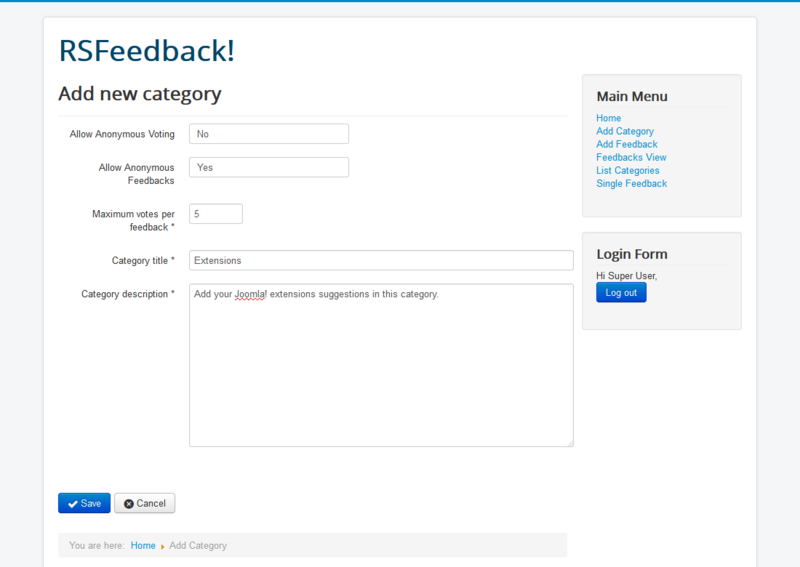 As seen in the screenshot below, when adding a new category (in the frontend), users will need to specify its Title and Description as well as the Maximum votes per feedback (how many points a user can give to a feedback) and decide whether to allow Anonymous Voting and Anonymous Feedbacks or not. 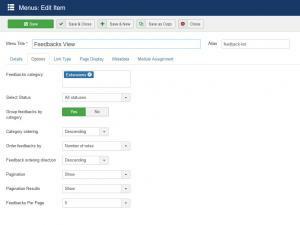 Submit Redirect Url: Enter the url where you wish to redirect the user after adding a feedback. 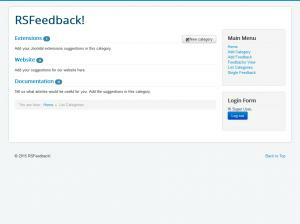 Feedbacks category: Select the categories who's feedbacks will be displayed. Select Status: All statuses / None / Other configured statuses - Only display the feedbacks that have the selected status. 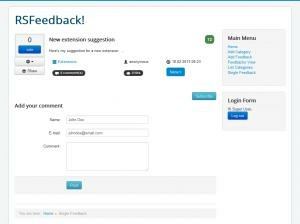 Can be set to All statuses in order to show feedbacks regardless of their status. Group feedbacks by category: Yes / No - set to Yes in order to group the feedbacks by their categories. Category ordering: Descending / Ascending - Works in conjunction with the Group feedbacks by category setting explained above. Orders the categories ascending or descending. 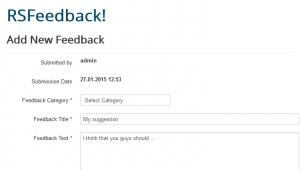 Order feedbacks by: Title / Date submitted / Number of votes / Owner - feedback ordering options. Pagination: Show / Hide. 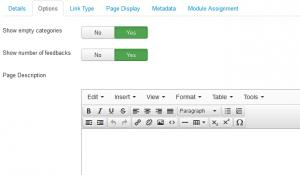 Pagination provides page links at the bottom of the page that allow the User to navigate to additional pages. These are needed if the Information will not fit on one page. Pagination Results: Show / Hide. Show or hide pagination results information, for example, "Page 1 of 4". 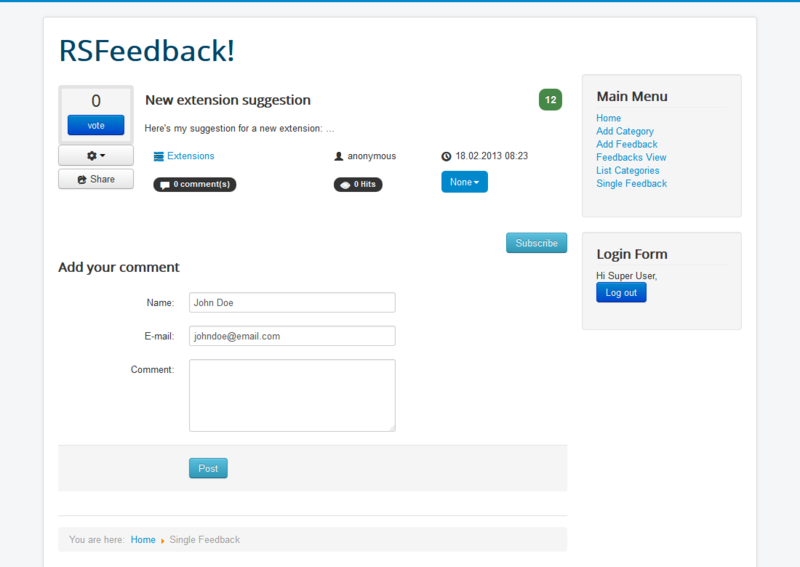 Feedbacks Per Page: Choose how many feedbacks should be displayed on a page. 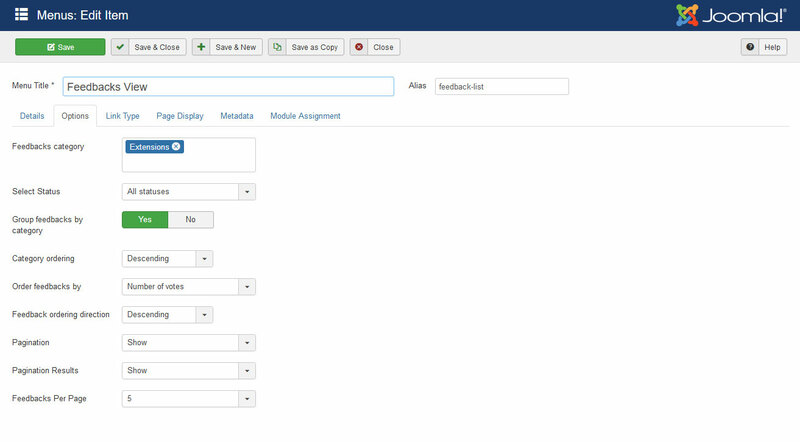 Show empty categories: Yes / No - choose whether to show categories that are not associated with a feedback. 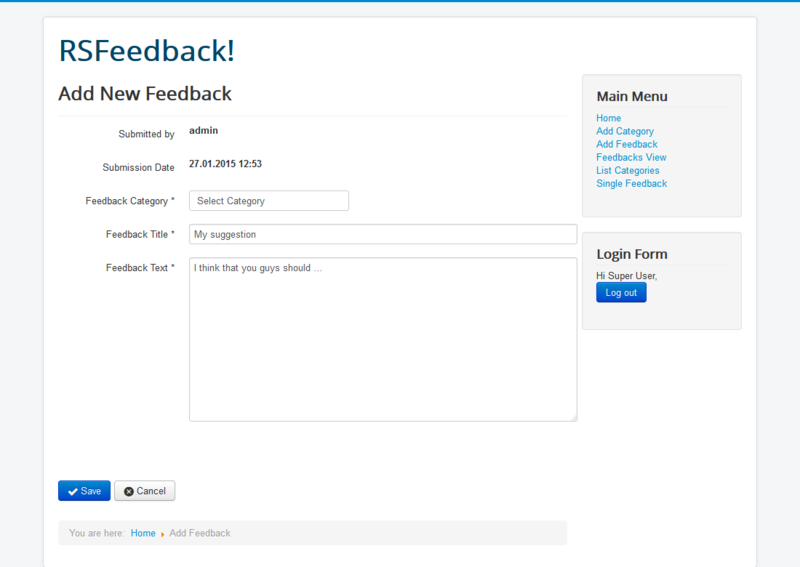 Show number of feedbacks: Yes / No - Set to Yes in order to show the number of feedbacks that are associated with each category. Page Description: Enter a description for the categories listing. 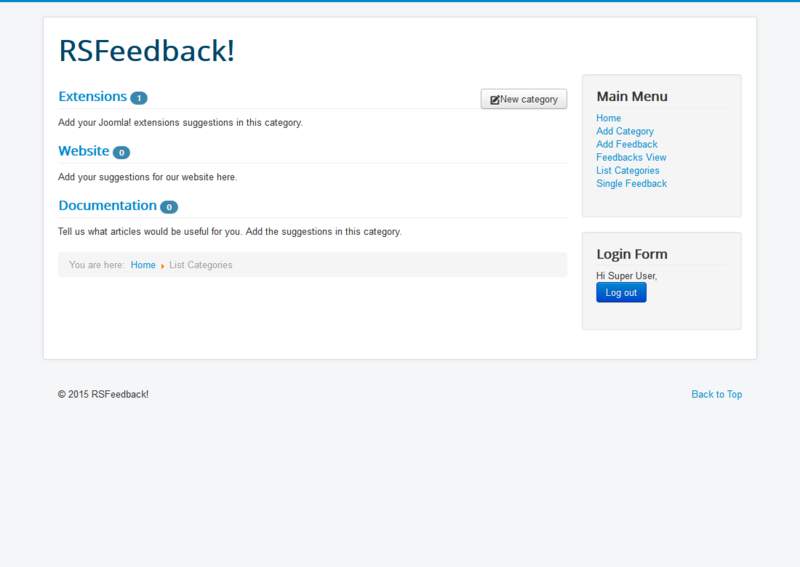 Select Feedback: Choose the feedback that will be displayed in the frontend. 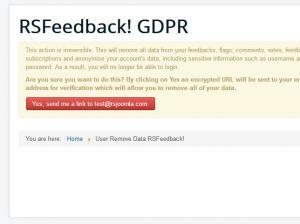 The User - Remove Data displays a simple option where logged in users can request, according to the GDPR legislation, to have their data removed. 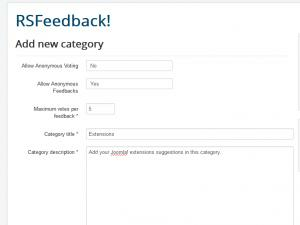 In order for this to work, you will need to enable the 'Allow Self Anonymisation' from Components > RSFeedback! > Options > Data Protection area.